I have the same thing in mind with blogging. I have so many post ideas, but little time to do them because I work, I perform in a band, I have family to attend first. Waaah! 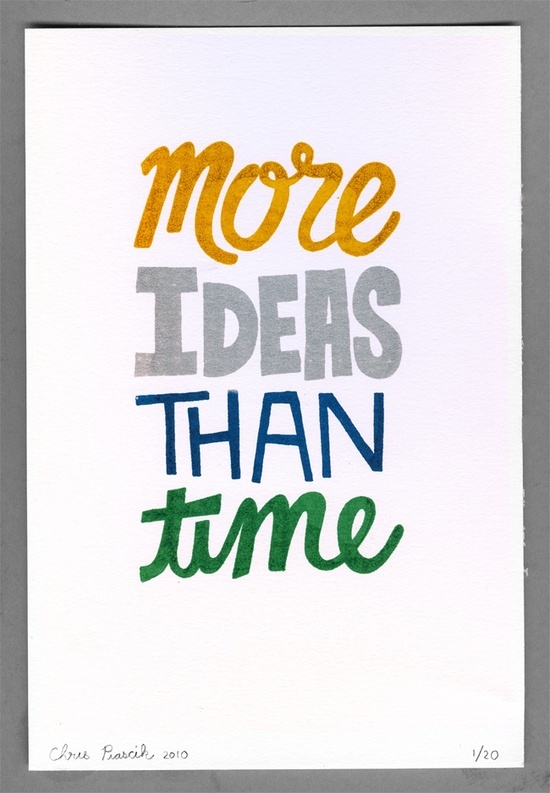 It's really not good to have more ideas and you don't have enough time to finish them all. Perhaps it should be taken one at a time.